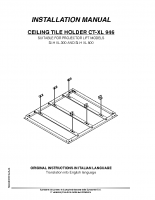 The CEILING TILE HOLDER is an useful accessory suitable both for projector lift of the SI -H XL serie. 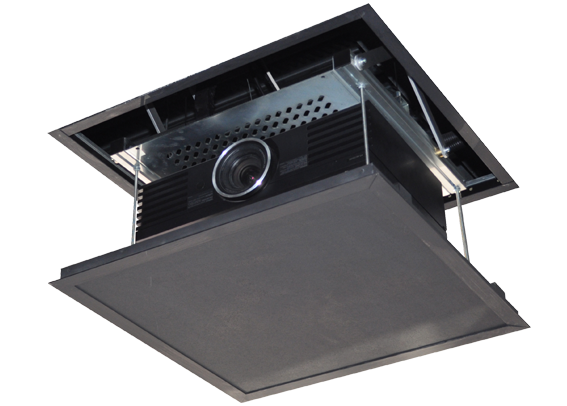 This accessory helps installers to reach a perfect aesthetic result when the projector lift is hidden inside the false ceiling. The packaging includes the aluminium frame and the brackets for fixing the threaded rods, which are included with the projector lift. After the tile holder is mounted, the installer has to fit in the frame a tile (not supplied). Suitable for SI-H XL 300 and SI-H XL 500. – Width of the aluminium frame seen from the bottom side: 30 mm. 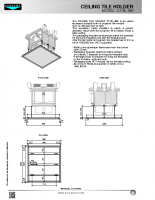 – All the aluminium frame is supplied raw, without any painting. The installer can spray it with a colour at his choice.